I buy a lot of cookbooks, my wife would say that I buy to many cookbooks. I recently bought a book called Charcuteria: The Soul of Spain﻿ Like most books I buy I took it home and immediately started paging through it. It is full of amazing recipes that are going to be a lot of fun to try out. 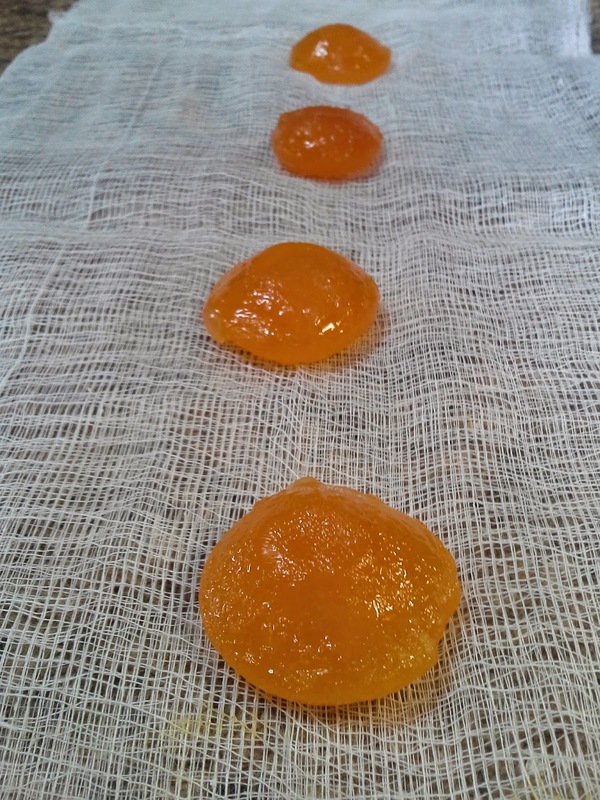 One of the recipes that popped out was this recipe for cured egg yolks. As soon as I saw it I started going through my cupboards to gather all the ingredients. The recipe takes two weeks to make so I wanted to get started on it as soon as possible. I know that for most people two weeks seems like a long time for a recipe but it really goes buy very quickly and once you try these yolks it is totally worth the time. I do a good amount of curing at home so the idea of having something that won't be ready for two weeks isn't hard for me. I think curing things puts a lot of people off because they assume it is difficult but really all it is, is waiting. The first step in making these yolks is mixing your salt cure. In the book they recommend using salt and maple sugar, I just happened to have both on hand so that is what I used. I did a little research and many other recipes call for brown sugar or even plain white sugar. The recipe in the book calls for a 50/50 blend of salt to sugar but many of the posts I read stated that made the yolks to sweet. I used a 2/3 to 1/3 ratio of salt to sugar and used about one cup of cure for four yolks. After mixing your salt and sugar cure pour about half the mixture in a non reactive container. 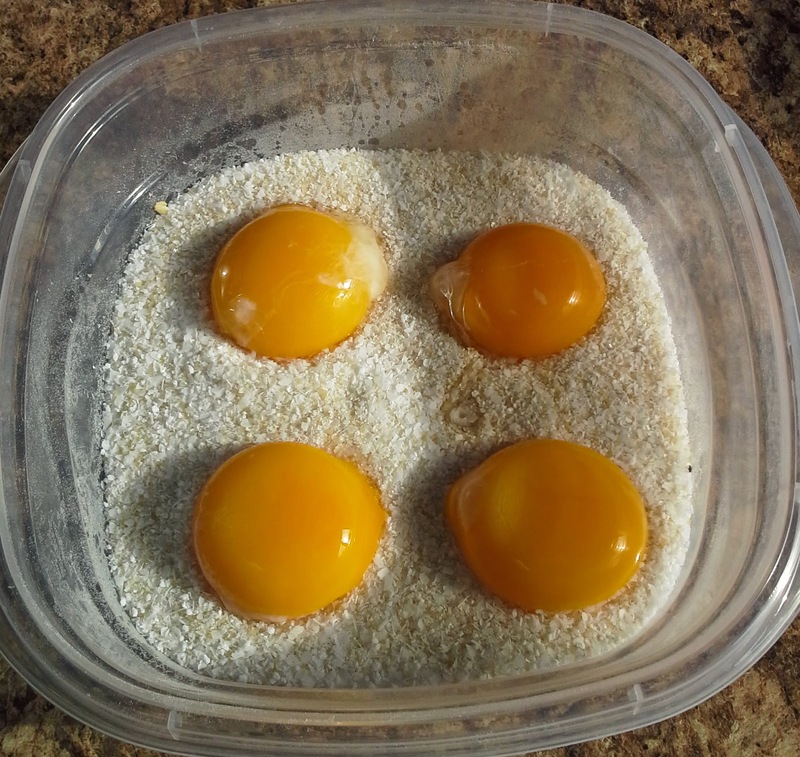 Using an egg make little divots in the cure to place the yolks in. Separate the yolks from the eggs and place one yolk in each divot. Cover the yolks with the remaining cure mixture and place in the fridge for 1 week. When that week is up rinse the yolks and dry them, wrap each yolk individually in cheese cloth and then hang back in the fridge for another week. That is the whole process, not difficult at all. This was my first batch of these eggs so I chose to only do 4 eggs just to see how they turned out. I was not disappointed at all. The richness of the yolk is intensified and they take on an almost cheese like quality. I would bet that this could be a nice alternative for Parmesan for people with lactose problems. Mildly sweet and perfectly salty, I can definitely see making a dozen of these and keeping them on hand for all occasions. If I can find a source for fresh duck eggs I would really like to try this with them. The first thing I tried the yolks with was asparagus. I fried up some thin strips of guanciale and then cooked the asparagus in the guanciale fat. I grated the yolks right over the hot asparagus and it really did react like cheese. It was slightly reminiscent of a hollandaise sauce. I would image these yolks would be great with fish and on pasta. The next thing I am going to try is to use these yolks grated into a carbonara instead of the eggs, we will see if that turns out.